Google just pushed its clean-energy game to the next level. The company said last week that it was already the biggest corporate buyer of renewable energy, but that this was not enough; it needed enough zero-carbon energy 24/7 to run its computer data centers, which are, of course, 24/7. And it said in a “discussion paper” on carbon-free energy that some of its sites were already there and others were making progress. Google made two other points that are worthy of note. One is that nuclear provides a large share of the grid’s carbon-free energy (the largest, in fact, here in the United States). Google takes credit for that clean energy when it calculates its own carbon footprint. The other is that if you buy an amount of electricity from wind and solar energy that equals your consumption over a year, you haven’t really solved the carbon problem because you are still using fossil fuels. Wind and solar—while clean—are intermittent, so at times your system is running on natural gas and coal. Those intermittent sources vary, not just minute-by-minute and day-to-day, but across the year as the number of daylight hours and the prevailing wind patterns change with the passing seasons. 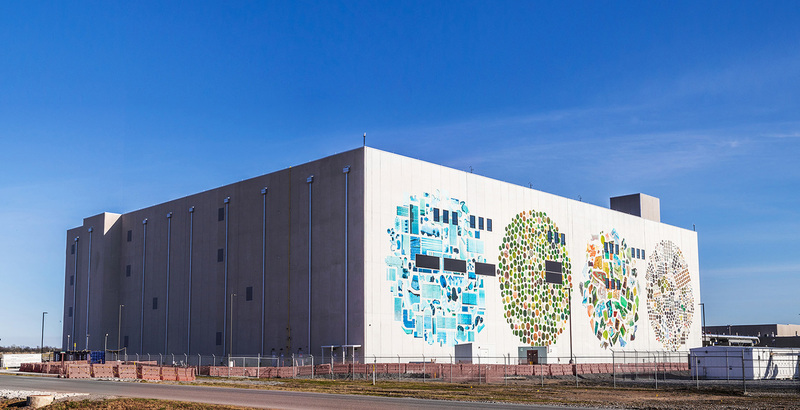 Google’s data centers, like the one in Oklahoma, require reliable electricity 24/7. Photo: Google. We are hoping for more in the environmental community to follow Google’s example. The net realization should be that if carbon is the problem, the goal isn’t to rely on wind and sun, it’s to limit carbon. And as Google’s paper points out, it’s best to do that with a diverse system. That will mean retaining nuclear and building more around the world. Google just pushed its clean-energy game to the next level by focusing on 24/7 zero-carbon energy. Bravo! Fortunately, there are multiple nuclear energy technology options in the market today or on their way. That means some of the new nuclear we need could be large light-water reactors of the kind we run now. Some could be small modular reactors also based on current designs. Some could even be higher-temperature reactors that run on different fuels; consume some materials now considered waste; make electricity, hydrogen, clean water and other products; and provide direct heat for industrial use, further reducing the need for fossil fuels. For now, it would be sensible to focus on one of Google’s principles, “additionality.” That means that you take actions that cause additional low-carbon resources to run on the grid. At a time when some nuclear reactors are being forced off the grid—because of extremely low prices for natural gas and no consideration in the marketplace of nuclear’s carbon-free nature—additionality can mean buying electricity from reactors. That would increase the number of megawatt-hours of carbon-free energy on the grid next year, in the 2020s, and in the 2030s and beyond. As we aim our sights toward 24×7 carbon-free energy, we know we have our work cut out for us and couldn’t be more excited to push forward. As Google and other organizations come to recognize nuclear’s role in that process, we’re hopeful that governments at all levels will follow the precedents set by Illinois, New York, Connecticut and New Jersey in compensating for the power market’s flaws and recognizing the value of nuclear power.